United Against Domestic Violence (UADV) started as a group of volunteers in 2012 supporting the One Billion Rising Campaign. As a group of strong willed mothers who decided to do more than voice their outrage at the atrocities women and children were facing around the world. Some were atrocities committed abroad and some right under our noses. There are many aspects that were a contributing factors to their decision to actively be part of finding a solution and ending violence against women and children. In difficult times feelings of helplessness can sometimes become overbearing. 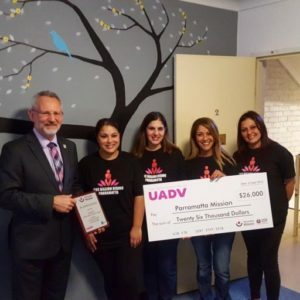 UADV feel and see that their efforts to raise much needed funds for the women and children fleeing domestic violence is overly gratifying and rewarding. Each year they have raised funds and items for the Thelma Brown Cottage and donate gifts to the residents at Christmas and Mother’s Day in the hope that they can lighten someone’s day during the most difficult times. Though out the last 4 years they have been able to raise over $64 000 in donations and items for the refuge. 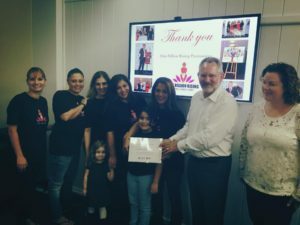 UADV plan to continue working with local businesses and community as volunteers and activist to end all forms of domestic violence and continue to raise funds and awareness which will assist people trying to break the cycles of domestic violence. Dezigner Webz specialising in small to medium business, providing professional high quality websites to meet your budget.